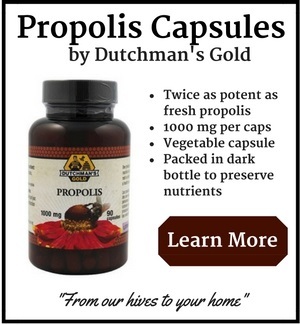 Propolis has shown that it has tremendous anti-microbial activity. An antimicrobial is a substance that kills or inhibits the growth of microorganisms such as bacteria, fungi, or protozoans. Penicillin and tetracycline are examples of drugs that are anti-microbial. Researchers set out to measure the antimicrobial activity of 19 different propolis extracts. These included both alcohol based propolis and propylene glycol based tinctures. It was verified that all the samples tested showed antimicrobial activity, although results varied considerably between samples. What is very interesting is that results revealed both types of propolis extracts showed highly sensitive antimicrobial action against some very common, yet dangerous bacteria like Staphylococcus aureus. Staph can lead to things like pneumonia, and meningitis. 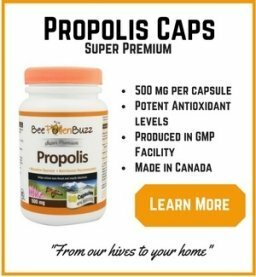 Propolis also showed activity against Streptococcus mutans (this is what causes tooth decay and cavities), Candida albicans and Saccharomyces cerevisae (yeast). Propolis also showed activity against Salmonella (food poisoning) and lesser activity against Helicobacter pylori (a stomach bacteria found in patients with chronic gastritis and gastric ulcers). The researchers concluded that the propolis had a strong and dose-dependent activity against most of the microbial strains tested. 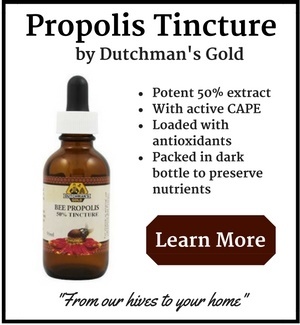 So what is it in propolis that has this dramatic effect against different microbes? The scientists did more research and found that that phenolic substances like CAPE and Cinnamic Acid were responsible for this inhibition, regardless of their geographical origin and the solvent employed for extraction. 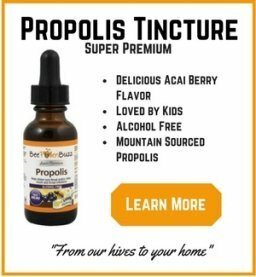 Statistical analysis showed no significant differences between alcohol based propolis or the propylene glycol based tinctures. The full study can be found in the World Journal of Microbiology & Biotechnology, 2012 Apr;28(4):1351-8.